Running Press Kids, 9780762459667, 32pp. Construction vehicle fans young and old will delight in this imaginative book of how a bulldozer prepares for bed. 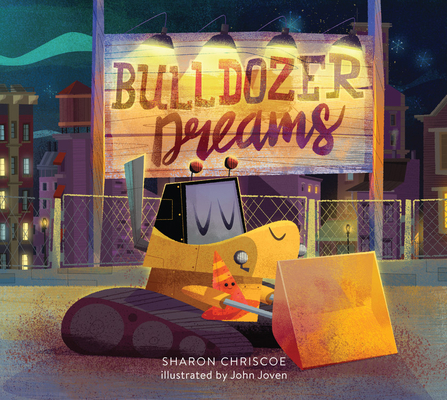 Sharon Chriscoe's irresistibly clever and gentle rhyming verse and John Joven's charming illustrations are sure to soothe even the busiest of kids at bedtime. Sharon Chriscoe is the author of Race Car Dreams and The Sparrow and the Trees. She and her husband live in Pilot Mountain, NC. John Joven is a children's book illustrator from Bogota, Columbia. He's illustrated numerous picture books, including Worm and Farmer Maguire by Jeff Dinard and Emma the Elephant by Duncan Richardson.